For example, with the run of educational commissions, we started with the Fostering and Adoption micro-site based on materials developed with and for the Department of Education. This one quickly went beyond micro, but that's a story for later. The subject area is restricted to fostering and adoption content, and has a meaningful, if unwieldy, sub-domain address of https://fosteringandadoption.rip.org.uk/. 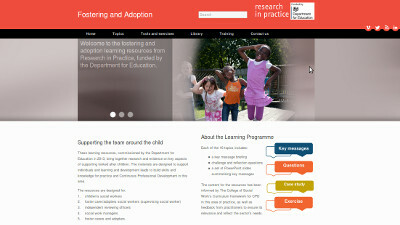 The separation or segregation of content enables a specific message, or as we did on the site for Reason evaluation tools guides, an ecommerce micro-site jointly developed by National Foundation for Educational Research (NFER) and Research in Practice to sell a series of publications under a joint banner that didn't directly redirect traffic from either of the parent organisations. This one had its own domain address. For some of the later micro-sites, there was a body of specific content that was funded by other agencies that was open access and didn't belong behind the subscription-based pay walls of the two research practices. While we could have made it publicly available through the corporate portal, we agreed with the funders that it sat better under open access micro-sites - which gave a clarity of message and didn't muddy the waters with the usual commercial imperatives. This separation into a micro-site also allows for more flexibility over design and branding. You can spin off content into a micro-site and come up with a completely new set of page designs, layouts and over-branding of pages - ideal if this is a non-corporate or joint project. By escaping the corporate portal or content management system, you can also get closer integration of design and content, or, break free from the restrictions and limitations of the parent platform. ModX is not unique as one of those developer platforms requiring scarce skills and resources to build. You don't go hacking your templates and site structure willy, or indeed, nilly; just the regression testing of all those pages adds a cost that you probably didn't budget for. And since the micro-site is, by some definition, micro, you probably want the impossible triangle of good, fast and cheap. When you're working with a third party software house, achieving that is nigh impossible. Micro-sites remove the limitations and distractions that embedding in the main corporate site would bring. The ability to customise the primary site navigation is, as well as headers and footers becomes much more important for a single-purpose site. The corporate portals consisted of large sites (about 500 pages when we migrated one practice to the ModX version), many levels deep, containing numerous subsections - many of which are members-only. By contrast, micro-sites allow you to focus purely on the campaign and associated calls to action. However you try to create redirected URL's for landing, sometime the user is going to see all that clutter and we didn't want all that complex navigation damaging the experience of the very specific content that the micro-site was built for. Repeatability using the templates and designs in Wordpress brought us to a kind of micro-site production line. 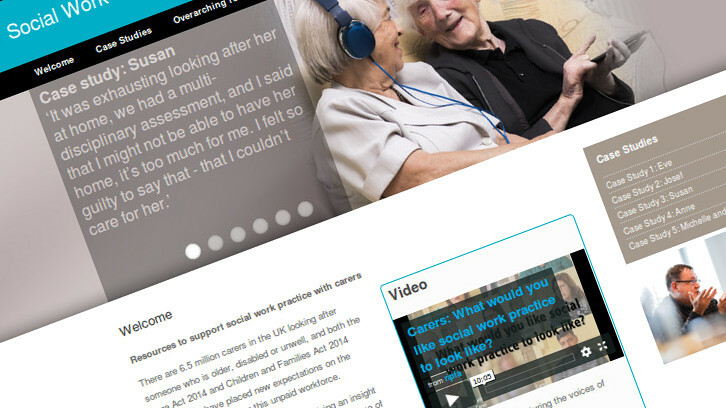 If you take a look at some of the sites developed for the two research practices, you'll quickly notice some common themes in terms of page layouts and design elements, some of which we lifted from the corporate livery on the main practice sites. While the designs and templates inevitably evolved with the projects themselves, what we gained was a micro-site library where we were able to spin up a sub-domain, install Wordpress with a custom theme and jump straight into site mapping. By the end of a run of twelve sites, we got quite good at it. You want it red or blue? No problem. Our micro-sites became much cleaner to manage internally with small project teams and stakeholder groups able to run each website associated with a specific project. That helped define clear lines of responsibility and ownership.